Zuhair has formal culinary training in Iraq before he moved to Utah in 2014, making his connection with Spice Kitchen a natural step in starting his new career. Currently Zuhair and his wife Nidhal offer catering, but hope to expand into a food truck in the near future. 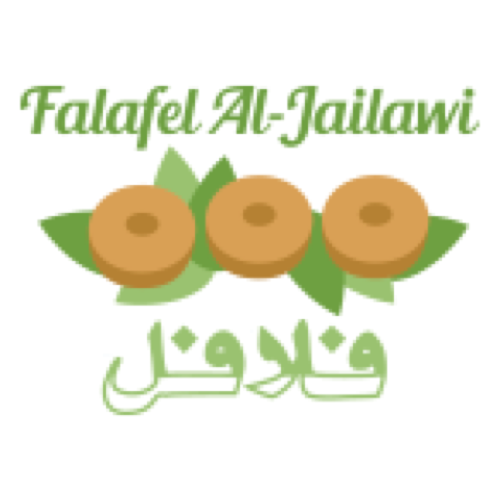 Falafel Al-Jailawi offers a broad array of traditional Iraq food, from fine dining to every day street food. Both their chicken and chickpea falafel continue to be popular dishes due to Zuhair’s unique blend of spices. Zuhair and Nidhal pride themselves on their high quality ingrediants, flavor, and affordable prices. Vegan Entree (GF): Mixed Vegetable Stew (carrots, corn, peas, and onion) in a spiced Tomato Sauce served over Saffron and Tomato Rice. Each entree is accompanied with fluffy Arabic bread and a fresh green salad. Meat Option: 2 Middle Eastern Style Beef & Lamb Kebabs served with White and Yellow Rice. Vegan Option: Mixed Vegetables (eggplant, onion, green beans, peas, corn, carrots, celery, zucchini, potato, and cilantro) Baked with Middle Eastern Spices and served with Arabic Bread. Each entree is served with cucumber tomato salad, with olive oil and lemon dressing. Meat Option: Chicken falafel served with baked eggplant & amba (pickled mango sauce). Vegan Option: Chickpea falafel served with baked eggplant & amba (pickled mango sauce). Each entree is served with Arabic bread and cucumber tomato salad with olive oil and lemon dressing. *Gluten Free option includes additional falafel instead of Arabic bread.